Deborah Turney Zagwyn was born in Cornwall, Ontario August 14, 1953. She spent her childhood in various communities in eastern B.C. Her family finally settled for her high school years in the Fraser Valley. She studied fine arts at Fraser Valley College and Langara in Vancouver. She became a printmaker, weaver, and wall muralist before discovering watercolour. Portraiture has always interested her. She loves to garden and rollerblade. 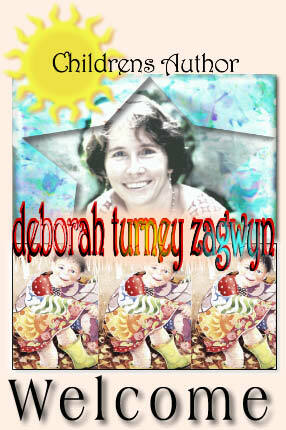 Deborah Turney Zagwyn is the creator of Apple Batter, The Pumpkin Blanket, Turtle Spring and The Winter Gift. Her latest book is entitled ‘The Sea House’. She makes her home in British Columbia, not too far from Vancouver, with her husband, two children, and a host of lazy animals. If you are a school or library and would like Speaking/Presentation information, please send a blank e-mail here: presentations@turneyzagwyn.com. You will be sent an automated reply with the required information.